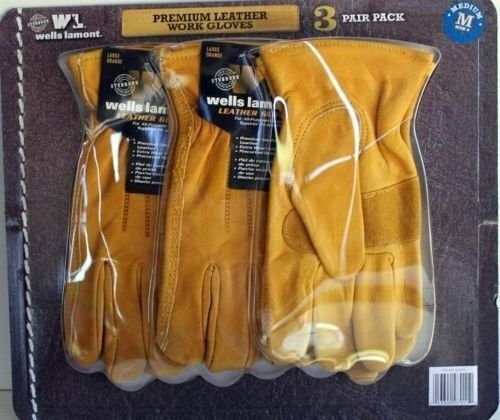 3 Pair Pack of Premium Leather Work Gloves size Medium. These gloves are ideal for both the professional tradesman as well as the home do it yourselfer. Made of genuine cowhide leather.